Home Hot News OMG! This Guy Predicted Why Kattappa Killed Baahubali in 2015 Itself ! OMG! 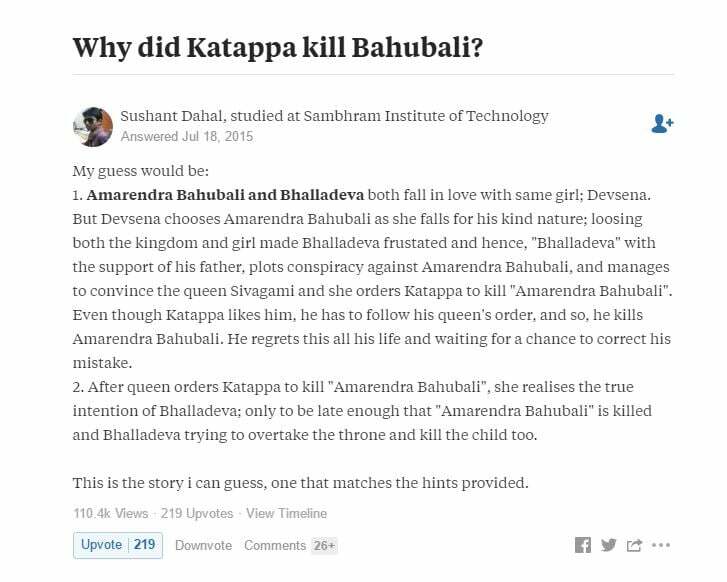 This Guy Predicted Why Kattappa Killed Baahubali in 2015 Itself ! SS Rajamouli’s magnum opus “Baahubali 2: The Conclusion” has shattered many records on the box-office and everyone is going crazy over the movie, The second part of the franchisee was already expected to create a storm if we go by the performance of the first part and people were just crazy to know the answer of the question, “Why Kattapa Killed Baahubali?”, which almost trended worldwide.